The Apple Watch’s high price—up to $17,000—probably won’t stop Chinese users from buying it, according to analysts, who expect the country’s rich to embrace the product. China will be among the first markets to receive the device when it goes on sale on April 24. The Apple Watch will come in three different versions, with prices starting at $349 for the Sports model and rising to $10,000 for the 18-karat gold editions—or up to $17,000, depending on the strap. “The gold edition of the Apple Watch is likely to do well in China, where the well-heeled market will grab the available units as a status symbol to own one,” said Kenneth Liew, an analyst with research firm IDC. Even as the Chinese market favors buying lower-priced Android handsets, Apple’s iPhone still remains popular in the country. Despite its high price, which starts at $859 in China, the iPhone 6 has been selling like hotcakes in the country. It did so well that Apple for the first time became China’s largest smartphone vendor in the fourth quarter, according to research firm Canalys. The company’s upcoming smartwatch will also draw its share of Chinese customers, mostly from Apple fans and early adopters of new technology, said Canalys analyst Nicole Peng, who expects to see “substantial demand” from the country. 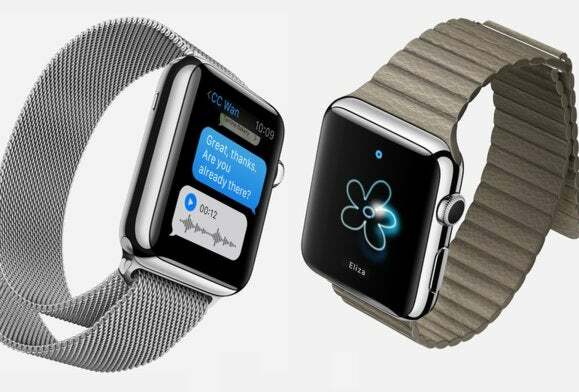 Globally, vendors shipped 4.6 million smart watches in 2014, but that number will rise this year with the arrival of Apple’s new product, Peng added. In China, the smart watch market hasn’t quite taken off, and most of the existing players are selling fitness bands, according to analysts. Android handset maker Xiaomi, for example, announced a $13 wearable last year. For Apple, China has become a vital market that may one day surpass the U.S. in size. During Monday’s product demonstration, Apple showed that its smart watch can also work with WeChat, a Chinese messaging app that’s taken the country by storm. First-year college student Chen Ziwei is an Apple fan, who wants to buy the product. “But I’m only thinking about purchasing the cheapest version,” he added. Chen is looking forward to the functions on the device, but he doesn’t expect the product to appeal to all. Although the Apple Watch has a price comparable to an iPad, a tablet just seems more useful to most consumers. “Outside the people who have a lot of money, most people will take a wait-and-see approach,” he said.